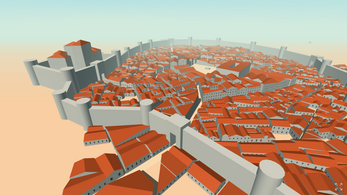 Toy Town is a 3d-visualizer for Medieval Fantasy City Generator. One day it may become a separate native application or a part of the generator itself, or both. For me it works in Chrome, Opera and Safari on Mac and in Chrome and Edge on Windows. It works on Android and iPad, but not on iPhone (although it may be an itch.io glitch). Press Enter to build a new city. Click and drag mouse to turn the camera. Unfortunately "mouse lock" is not implemented in OpenFL for HTML, so it's not as comfortable as it should be. H - Turn on/off shadows. Shadows double the number of polygons in the scene. F - Turn on/off trees. Trees greatly reduce FPS. P - Turn on/off "plots". Makes secondary streets slightly more visible. 👉 For development news and related stuff please check a dedicated reddit community. Is there a way to save a specific generation? With both this and the City Generator, it would be great to be able to change the name of the city manually as well as make it possible to creation collections of previous made cities, making a way to go back to it, if we wanted to. 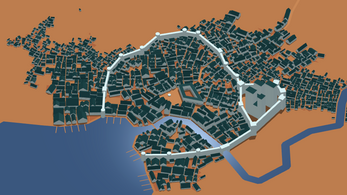 How can I load a a map from Medieval Fantasy City Generator? This would be great. No way to do it, sorry. Also Toy Town has a much older "generation base", so there are some features in MFCG, which are absent in Toy Town (like farms and neighborhoods). how to change the size of the city, or anything for that matter? Unlike in MFCG here you can't change city parameters, it's only possible to change visualization parameters. How Can I rec when I'm walking on the city? How can I save the maps?? I was hoping he would answer why it don't work. This author cannot answer bugs. So I hope he's not looking at selling this! Full image its not working. I really like to know that too. There is no way to do it, sorry. How exactly it doesn't work? Blank "screen"? Exporting this as a 3D file would be terrific, you could add these cities to 3D printed terrain. How do I get a copy of this? How can I export my maps from medieval fantasy city generator to here (toy town)? Currently there is no way to do it. 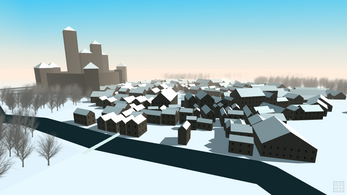 Later Toy Town will become a part of MFCG and it will be possible just to switch view modes - Map/3D. Any updates on a schedule for this implementation? I'm also hugely impressed by the integration of FMCG with Azgaar's FMG, some great work! This is awesome. Nice procedural generation. I think that it would be cool if your work was implemented in Unreal Engine's blueprint (visual scripting). 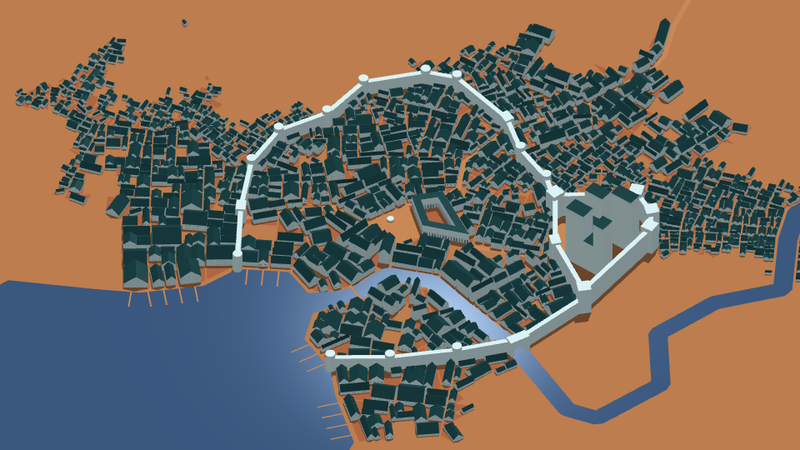 I also think the map created by the medieval fantasy city generator can be modeled using modular medieval village packs in a procedural way(like toy town). It would be best if you could walk around the town with HTC vive! Unfortunately, I do not know much about procedural generation(perlin noise is everything i know). So, if you can, can you give me some advice on what to learn to make this wonderful work? I really want to move your nice generator to the Unreal Engine. This would be awesome to have as a tool for the Unity 3D game engine. How difficult would it be to do that? There are a bunch of courses on Udemy, any one of which could teach you what you need to know. This is really amazing, and has incredible potential for TRPG expansion (labeling houses, etc.) - very cool! This is so awesome! How do we save and load a Seed? I plan to use it to procedurally generate locations for when running TRPGs. Planning to use Libreoffice Calc to save the screenshots so I can hyperlink descriptions with cell references. I'd like to know whats your plans regarding the city builder. Thank you. Right now there is no way to run this thing with a specific seed. Later when it is merged with MFCG, it will be possible to do it similarly - using the seed parameter in url. Thanks! That is awesome! looking forward to it! I love both the 2D and 3D maps! Is there any way to save a generated map so that you can come back to the village/town/city later on? Also, I noticed that the 3D generator tends to create the same size map. It doesn't like to create the large 3D image. 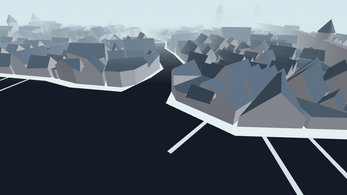 With the non-itch.io version of the generator you can copy an url to build exactly the same city later, given that you don't change layout settings. For example this http://fantasycities.watabou.ru/?size=9&seed=1507880450 will produce a small town with a river coming across it (river=on, coast=off, castle=on, walls=on). Toy Town contains a limited version of the generator, which doesn't support url parameters (and it wouldn't work on itch.io anyway). And yes, it always builds medium-sized towns (12-23 districts), because the renderer is too slow for large ones. Cities are very similar though.. This is super cool and as you said when working on the other generator 3d looks good!, Next thing to takle however is potensial elevation changes? ...then shut up and take my money! The source code of the generator itself is here. This is cool, nice use of the city generator. A suggestion: please generate an obj file of the city..